3. that there had to be an English translation available. 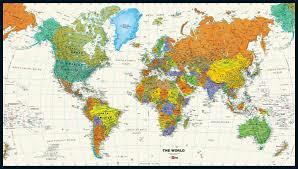 To begin with it was pretty easy; there are quite a few English-speaking countries in the world! Yet as I began to tick the countries off the list it became increasingly difficult to find good books. Surprisingly, the Wellington library’s selection of North Korean and South Sudanese literature is pretty limited. And since I didn’t have the money to spend on Amazon, I decided to put the project on the backburner and started reading Game of Thrones instead. However, now that my “to-read” list is beginning to dwindle again, I thought I might pick up where I left off with Le Tour. But this time I’m going to need a little help! Here is the list of countries I have “read” so far. If anybody knows of any good novels from countries I haven’t yet got to, then please let me know!